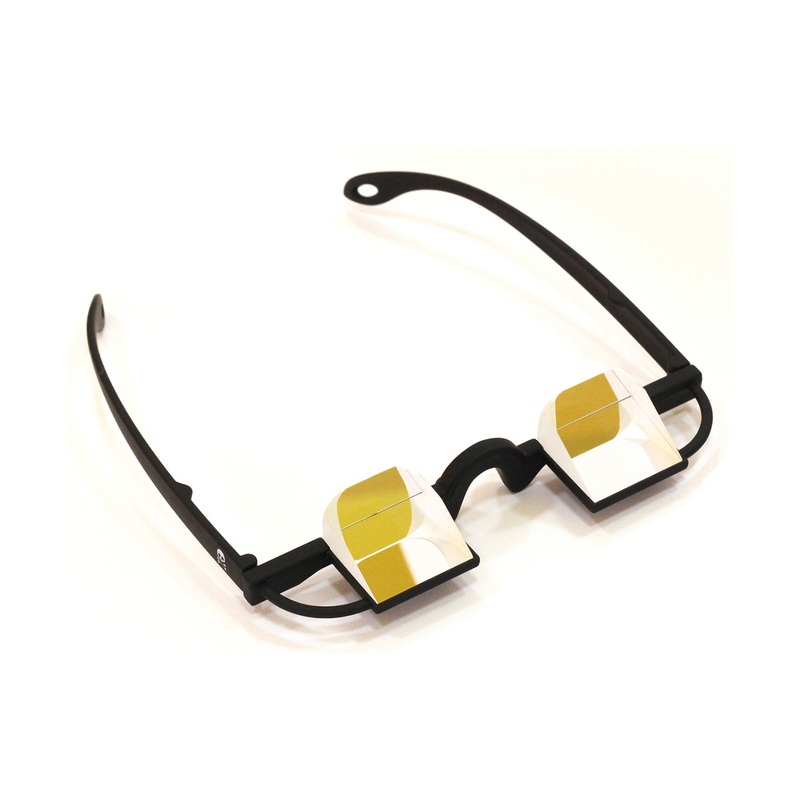 The Le Pirate Belay Glasses Model 2 are great value belay glasses for sport climbers seeking a cheaper yet still good quality alternative. 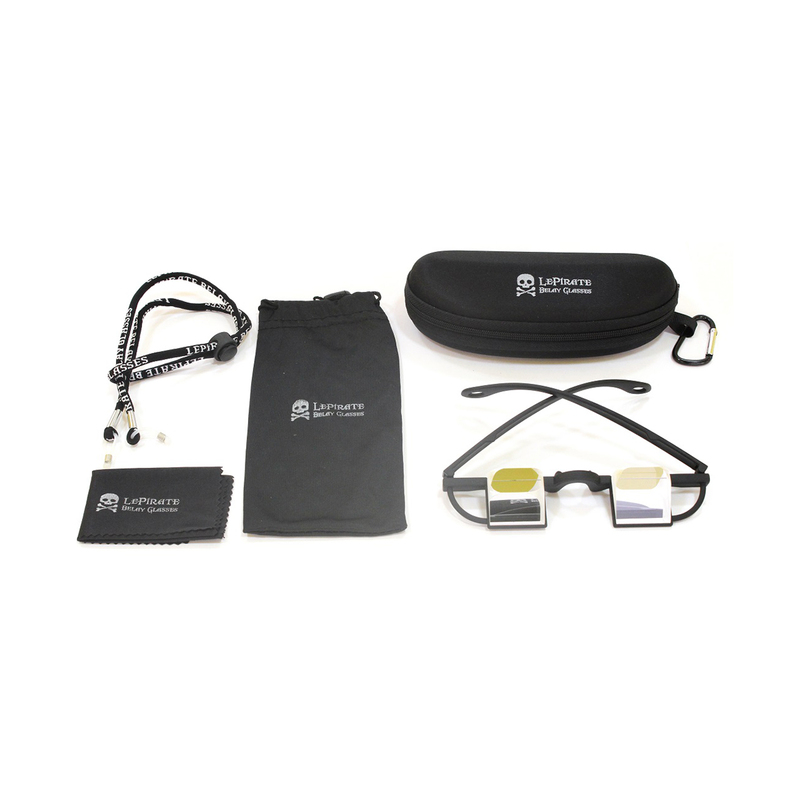 The Le Pirate Belay Glasses come complete with a carry case, cloth, and cord, and a carabiner to attach it to a harness. 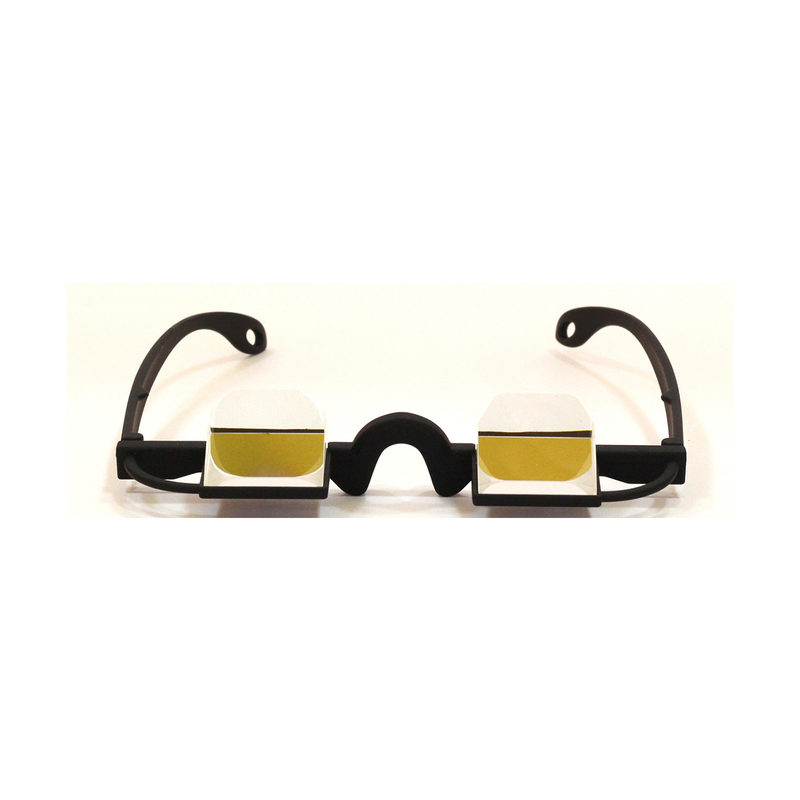 The Model 2 features an improved design which allows your head to sit in a more relaxed position and ensures you can see more of what happens in your peripherals. This is what you were looking for! Excellent kit to help the belayer and climber. Now you can belay more safely and with pleasure. The price pleasantly surprised! Comes with case, neck strap, carry bag, and lens cloth. great value and no complaints. Don't see why I would need metal ones or more expensive ones.